As the Northern Ireland Budget is pushed through Westminster, FDA General Secretary Dave Penman warns that over two years without a functioning executive has left the Northern Ireland Civil Service to “operate within an ambiguous framework”. As the Westminster bubble almost consumes itself with the continual psycho drama of Brexit, a scandal that would shame any democratic country in the 21st century is being quietly ignored for political expediency. The collapse of power sharing in Northern Ireland was only ever expected to last a few weeks, the fallout from who-knew-what-and-when about a renewable energy subsidy scheme that the devolved government lost control of. The subsequent Renewable Heat Incentive (RHI) public enquiry has laid bare the dysfunctionality of power sharing and almost wanton disregard for the norms of transparent and accountable government among ministers. In the meantime, with no elected government, the civil service has been left to quite literally keep the lights on. As the impasse trundled on, a successful judicial review of a planning decision brought into focus the inability of the civil service to make decisions that should rightly be the realm of ministers. The Conservative Government baulked at returning to direct rule and instead legislated for limited decision-making by civil servants. With politicians on both sides of the Irish Sea unwilling to govern, the civil service is left to operate within an ambiguous framework that - at best - defaults to status quo. At worst it results in critical decisions that will impact future generations of citizens being left, ironically, on the back burner, with over 160 stuck in limbo at the last count. Projects like the £200m North/South Electricity interconnector which would create jobs, potentially reduce bills and help secure energy supply which is currently expected to fall below demands by 2021. Many voters may feel they’ve nothing to lose. The reality, however, is that on a multitude of big public policy areas such as energy supply, healthcare provision, school funding or social housing, politicians are required to make decisions and without them, services begin to fail. This ought to be the catalyst for political parties to sort out a future government; for fear of paying the price at the ballot box for an impasse that’s wasting taxpayers’ money and damaging public services. However, that’s not how politics in Northern Ireland seems to work. The power sharing deal that was essential to bringing peace requires representatives from both communities to form a government. The result is that there is no effective opposition and the biggest parties are guaranteed power. It may have delivered peace, but the price has been ineffective governance. In the wake of RHI, politicians have already sought to shift blame onto civil servants. Despite being responsible for the impasse, politicians now lobby and complain when civil servants make decisions that should be taken by ministers, laying the ground for their return to power and abdication of responsibility for any decision that proves unpopular or controversial. Worse may yet be to come. 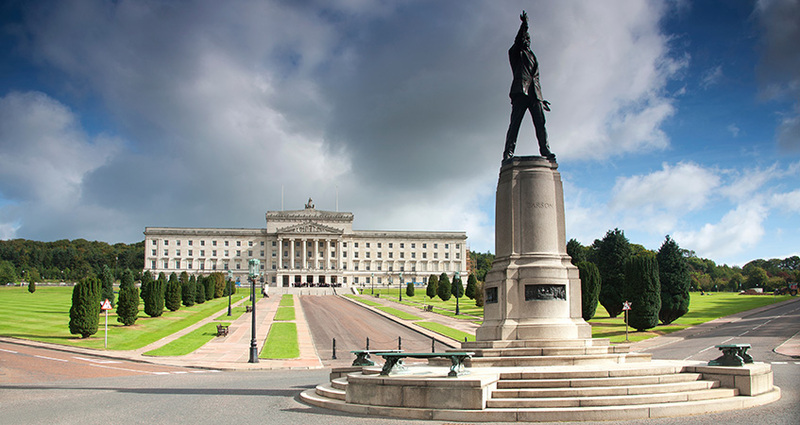 A hard Brexit would put civil servants in the invidious position of having to take decisions with profound implications for the peace and prosperity of Northern Ireland, the consequences of which do not bear thinking about. Delivering effective government in Northern Ireland will be no simple task. The RHI inquiry has shown that reform is needed and trust rebuilt between civil servants and ministers. Every day that passes without accountable government makes that task all the more difficult, and the price paid by the people of Northern Ireland ever higher.